Last week, Susan Ballou, the National Institute of Standards and Technology’s (NIST’s) program manager for forensic science, attended the opening of the Leverhulme Research Centre for Forensic Science at the University of Dundee in the United Kingdom, where she had the opportunity to meet The Royal Family members Queen Elizabeth II and Prince Philip, Duke of Edinburgh. 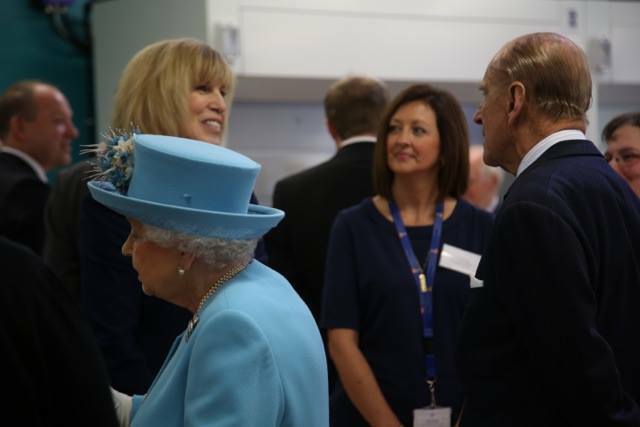 Sue reports that she “performed a fairly good curtsy, if I do say,” and answered several Royal Questions. NIST is partnering with the Research Centre in an effort to identify research needs in the forensic sciences, especially in areas where NIST’s expertise in metrology apply. 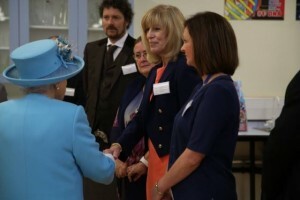 Sue can be seen shaking the Queen’s hand in the first photo and greeting Prince Philip in the second.